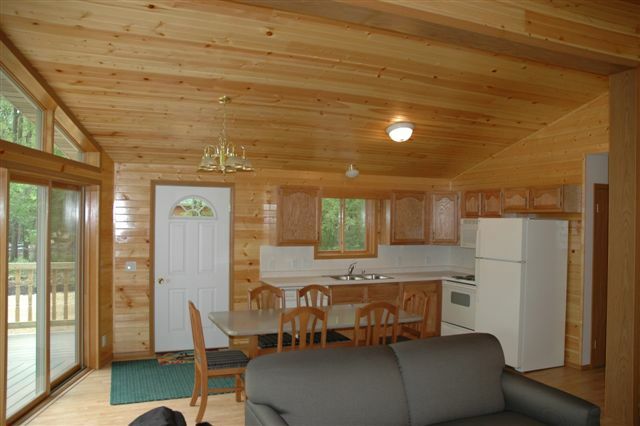 Scott County Park houses two luxury rental cabins. Each cabin comfortably sleeps six, with two bedrooms, a full bathroom, living room, fireplace, and kitchen area. The cabins feature finished interiors, decks, grading and landscaping. The cabins were purchased from Design Homes, Eldridge, Iowa. They are located in Scott County Park just before the Pine Grove Campground. Funding was received from Scott County Regional Authority toward the purchase of the cabins. Two bedrooms with queen size mattresses, fold-out queen-size sofa bed in main room - sleeps 6.